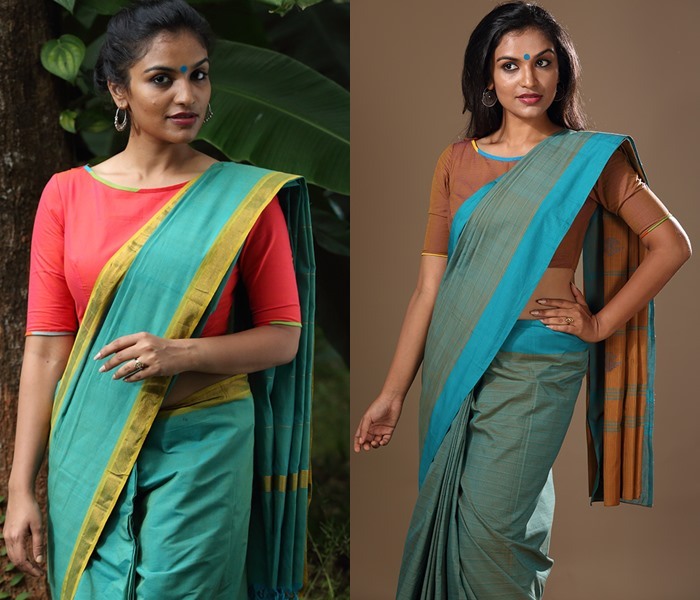 Home Fashion 18 Cotton Saree Blouse Designs for a Stylish Look! Millions of women get solace in the extreme humid Indian climate by the comfort-ness of cotton sarees. These sarees has special place in every Indian woman’s wardrobe as it suits all women irrespective of age. 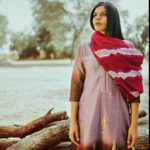 The innate simplicity and minimalism that comes along with the cotton clothing makes it a most widely adorned fabric among formal-look seeing women too. Hence cotton sarees are best companion of working women/ teen-college goers for the professionalism it unleash. 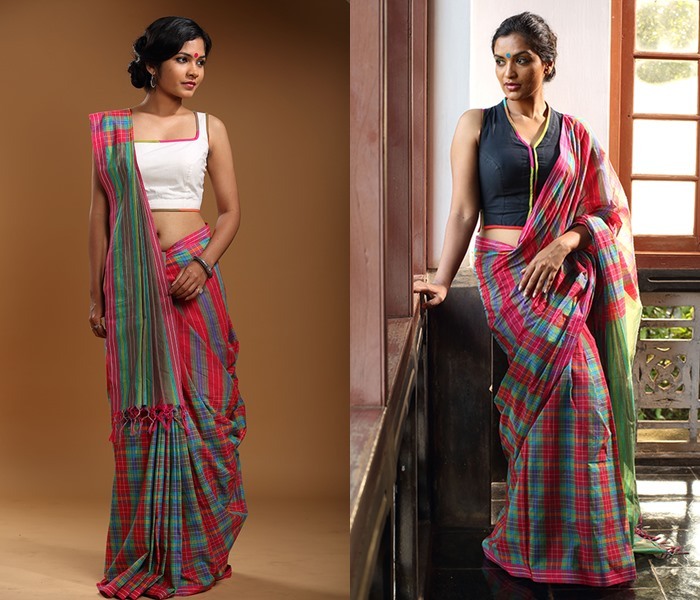 Owing to the simplicity many tend to believe that it is fine to pair a cotton saree with a simple blouse design. That notion is wrong, is what we say! You can show tons of variation in the blouse you opt for these sarees and literally be a style diva in no time. If you don’t believe us, then do read below to find out how a label ‘Steamstress’ brings out the simple cotton fabric in truly mesmerizing blouse designs. Their catalogue is a holy grail for every woman who is in love with cotton sarees. 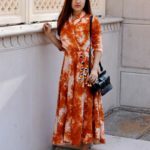 Starting from the blouse front neck, back neck, hand patterns, style can be bought in to your cotton blouse by the variety of designs you can opt in. Your cotton blouse will get fabulous as it can get, as you let your creativity go wild. 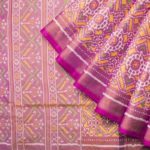 Scroll below for some of the super cool cotton saree blouses that will improve your love of these sarees ten-fold! 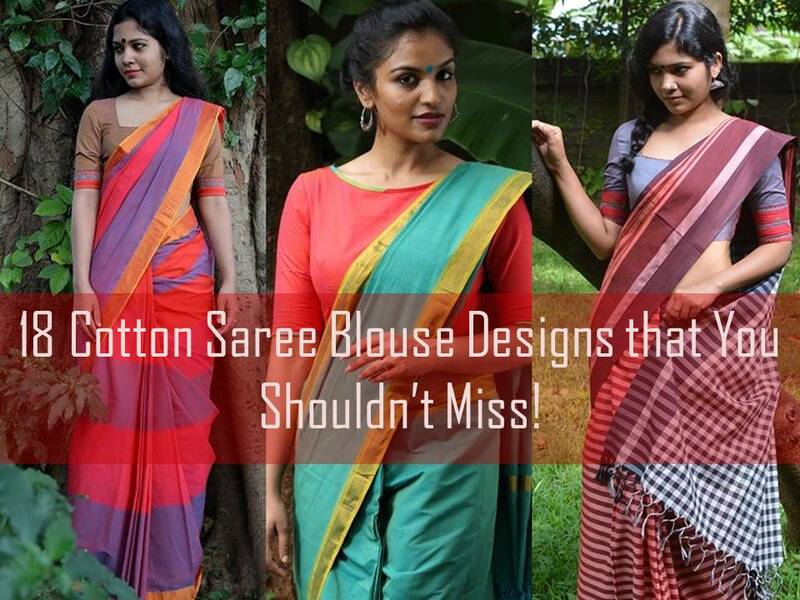 We all know cotton saree blouses are meant to be simple. We don’t deny. But even in simple blouses you can opt for broad necks or slit necks to give a total elevated look. If your saree blouse is of dull shade, try to give some boost by adding embellishments around the border. Even a simple piping work in contrasting shade can make your blouse stand out and eye catching. If your blouse is void of any designs or patterns, then it’s a good idea to add some punchy borders. Readymade borders are hot among blouse lovers. You can give a fabulous stylish look to your cotton blouses with an addition of these chic borders. Another area of improvement is your sleeve. Short sleeves and medium length sleeves are taking back stage this season, and elbow length sleeves are gaining its popularity again. 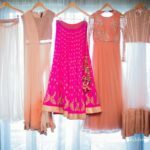 Go for any weddings and you will see how popular these long sleeves are among young brides and bridesmaids. These are not just for your showy blouses but also for simple cotton ones too. Cotton blouses will broad necks combined with long sleeves will turn out to be super stylish than you can possibly imagine. We all know how boat necks become every fashion loving women’s top choice of blouse neck. You can go for such default stylish necks for your simple cotton blouses too. These necks can dramatically increase your style quotient but still retaining the simplicity. To add a layer of beauty, go for colourful piping like the one worn by the model below. While you opt for boat necks, it is better to stick with elbow length or three fourth sleeve blouses as this is a winning combination. Though the front necks are mostly hidden, still you can make use of the visible area for an appealing saree look. If your plan is to drape your saree in unconventional ways, then you can try plenty of front neck designs to boost the saree look. Buttoned blouses are making waves in the present trend. It gives a fresh look to your otherwise simple saree. Buttons are not just for back necks, you can try them on front too. Bold metallic buttons on light colors add dimension to your saree. It will also look formal. Another way to make your front neck look drop dead gorgeous is to opt for flattering cuts and slits that show off beautifully when you wear your favorite saree. If possible highlight those slits with attractive embroidery work of piping work. Front tie-ups also make your blouse look more different from your boring default ones. Tie-up blouses are so opt for a cool look. So for your friends outings or a relaxed vacation, you can try this one. Broad front necks and chic collar necks are in the fashion radar for a very long time and still hasn’t lost its charm among women. Yes, even if other things are too much to do, go for these designs for a new finish. Now we are into the most visible portion of the blouse where you can try so many cool things to make your overall style stunning. Back neck is where everyone wants to try something new when they go for blouse stitching. And the most popular way to gain attention is to try broad necks with some catchy work. Of course, nothing wrong. But you can be bit different and go for full covered back necks with button highlights. You can try bold metallic buttons for this style as it blends very well with cotton fabric. Go little wild and add button even around your shoulders for more creative looks. Another interesting thing you can do with your cotton blouse back neck, especially when the blouse is full of patterns, then try to do patch work by cross stitching them. This will make a new pattern and stand out! So why go for default broad back necks, next time try these for a different blouse style. Finally, we have come down to another favourite part in a saree blouse which is the sleeve. We already saw, how elbow length sleeves are making a show everywhere. When there is so much of competition for a trend, of course you need to be bit more creative to make your style unique. So, if you are looking for new ways to spice up your sleeves, then go for subtle patch work with contrasting patterns. This goes well with plain sarees. If your blouse is already defined with bold prints, then finish off these printed cotton blouses by adding something stylish on the borders. Again there are lots of ready-made border available in the market to feed your creativity. Also be creative and combine various blouse sleeve patterns with unique front and back necks for an entirely new style. Even if you are afraid to try something new on the front and back necks, blouse sleeves are such fun to experiment. It is totally doable and with few changes, your cotton blouse is going to look totally cool. Hope you got the clue that cotton saree doesn’t have to be simpler any more. You have got stunning cotton blouses on your arsenal to make it spectacular. 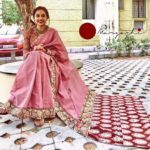 So dear friends, bookmark this page and come back here whenever you want to perk up your simple cotton sarees with some glorious blouse designs. You can buy the same blouses online from the label below. I’vе learn several good stuff here. Definitely price bookmarking for reѵisiting.